Response to Intervention, commonly referred to as RtI, is defined as “the practice of providing high-quality instruction and interventions matched to student need, monitoring progress frequently to make decisions about changes in instruction or goals, and applying child response data to important educational decisions” (Batsche et al., 2005, p. 3). It is considered a prevention oriented approach to linking assessment and instruction that can inform educators’ decisions about how best to teach their students. RtI employs a multi-level system which includes three levels of intensity or three levels of prevention (primary, secondary, and tertiary), which represent a continuum of supports. Schools use RtI data to identify students at risk for poor learning outcomes, monitor student progress, provide evidence-based interventions and adjust the intensity and nature of those interventions depending on a student’s responsiveness (National Center on Response to Intervention, 2010). IDEA 2004 allows states to use a process based on a student’s response to scientific, research-based interventions (i.e., RtI) to determine if the child has a specific learning disability (SLD). However, federal law does not require schools to use RtI to determine eligibility for all disabilities. The Office of Special Education Programs (OSEP) has clarified that the IDEA does not address the use of an RtI model for children suspected of having disabilities other than SLD and has emphasized while RtI may be used to determine if a child responds to scientific, research-based intervention as part of the evaluation process, RtI is not, in itself, the equivalent to or replacement for a comprehensive evaluation (United States Department of Education, 2007; Hale, 2008). Schools must use a variety of assessment tools and strategies to gather relevant functional, developmental, and academic information about the child, including information provided by the parent, which may assist in determining eligibility and not use any single measure or assessment as the sole criterion for determining whether a child has a disability, and for determining an appropriate educational program. This requirement applies to all children suspected of having a disability (IDEA, 2004). Although RtI is an important advancement in educational practice, there are serious concerns about identifying a child with autism spectrum disorder (ASD) utilizing the RtI process. The heterogeneity of needs and high level of co-occurring problems demonstrated by children and youth with autism may affect the overall use and generalizability of the RtI model (Gilmartin, 2014). For example, intervention research cannot predict, at the present time, which particular intervention approach works best with which children. Similarly, the needs of children with ASD are complex and often more difficult to identify than those with other disabilities. A lack of understanding of ASD and some of the subtler symptoms of ASD might also result in the use of interventions and teaching methods that are inappropriate for this group of children (Twachtman-Cullen & Twachtman-Bassett, 2011). Moreover, some intervention and assessment procedures for ASD require a specific knowledge base and skills for successful implementation. Teachers may not have the skills to implement scientifically-based instructional practices and assessments. 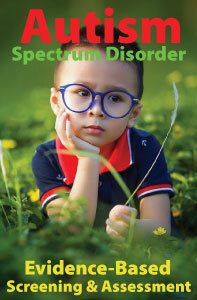 There is research to suggest that school personnel (i.e., general education and special education teachers, school counselors, and paraprofessionals) factual knowledge about the assessment/diagnosis and treatment of autism is low and that few teachers receive training on evidence-based practices for students with ASD (Hendricks, 2011; Williams, Schroeder, Carvalho, & Cervantes, 2011). Even with adequate teacher training, it is difficult to determine if the interventions were implemented with integrity (i.e., accurately and consistently). Although the importance of treatment integrity has been recognized in the literature, this construct has largely been ignored in research and practice. Unfortunately, the measurement of treatment integrity tends to be more the exception than the rule. For example, a recent survey of practicing certified school psychologists’ knowledge and use of treatment integrity in academic and behavioral interventions found that only 18% of the participants consistently measured treatment integrity in a one-on-one consultation, while just 4.6% of the participants consistently measured treatment integrity within a school-based problem-solving team (Skolnik, 2016). While evidence-based interventions delivered across the levels of RtI might be considered as part of the assessment process, RtI is not a substitute for a comprehensive evaluation in determining a student’s eligibility for special education under the IDEA disability category of autism. The determination of autism should include a variety of information sources and measures, and should not be based on a single measure, process, or information source. 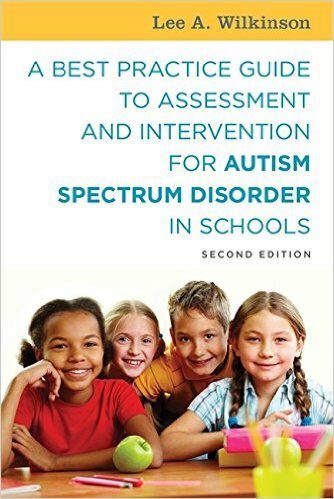 At present, the comprehensive development assessment model represents best practice in the evidence-based assessment and identification of ASD in the school context. This approach requires the use of multiple measures including, but not limited to, verbal reports, direct observation, direct interaction and evaluation, and third-party reports. Interviews and observation schedules, together with an assessment of social behavior, language and communication, adaptive behavior, motor skills, sensory issues, atypical behaviors, and cognitive functioning are recommended best practice procedures (Campbell, Ruble, & Hammond, 2014; National Research Council 2001; Ozonoff, Goodlin-Jones, & Solomon, 2007; Wilkinson, 2016). Because ASD affects multiple areas of functioning, an interdisciplinary team approach is essential for establishing a developmental and psychosocial profile of the child in order to guide intervention planning. Batsche, G., Elliott, J., Graden, J. L., Grimes, J., Kovaleski, J. F., Prasse, D…Tilly, W. D. (2005). Response to intervention policy considerations and implementation. Reston, VA: National Association of State Directors of Special Education. Gilmartin, Caitlin E., "Autism Interventions in Educational Settings: Delivery within a Response to Intervention Framework" (2014). PCOM Psychology Dissertations. Paper 306. National Center on Response to Intervention (March 2010). Essential components of RTI - A Closer look at response to intervention. Washington, DC: U.S. Department of Education, Office of Special Education Programs, National Center on Response to Intervention. U.S. Department of Education Office of Special Education Programs. Questions and Answers on Response to Intervention (RTI) and Early Intervening Services (EIS), 47 IDELR ¶ 196 (OSERS 2007).